Is your child’s bedroom a ticking time bomb? Tots to Teens Furniture can help you create a Durham, NC kids room that is both fabulous and functional! From bunk beds to bookcases, we are guaranteed to have the Durham baby and kids furniture to take your child’s room from cluttered mess to organized success. Need help planning your Durham kids room remodel? 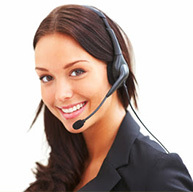 Contact us today to speak to one of our esteemed customer representatives. At Tots to Teens, we believe in offering our Durham clients the highest quality and long-lasting baby and kids furniture on the market. Industry-leading furniture manufacturers we carry include Bolton Furniture, Echelon Furniture, Munire Furniture, Romina Furniture Pali Furniture, Natart Furniture and Smartstuff Furniture. Just a short drive from the Research Triangle Park, our Raleigh-Durham children’s furniture showroom specializes in baby furniture, kids furniture, teens furniture, crib bedding and much more. And while you’re busy perusing, you can keep your little ones entertained at the pay-for-play gymnasium located on-site at Rainbow Play Systems of North Carolina. Interested in learning more about our Durham kids room solutions? Contact us today at 919-420-0005 or browse through our large assortment of baby and kids furniture in person at 8732 Glenwood Avenue in Raleigh, NC. In addition to Durham, Tots to Teens Furniture proudly serves Raleigh, Morrisville, Apex, Cary, Chapel Hill, Holly Springs and Wake Forest, NC.